Every year a large number of Indian girls marry at childhood age. Sometimes the brides are not more than four or five years old. Under Child Married Restraint Act of 1929, it is completely illegal in India, but the practice is in progress. The life of the children is very bad, especially for the bride. According to Indian tradition, when a girl got married, she must go to the groom’s house and leave her own house. At that time she will become a responsible wife, but not mature physically, mentally and also week in educational perspective. So she will not ready to take any tough decision in challenging life. India is one of the most traditional nations in the world, where child marriage successfully happens. Every year, minimum 10 million girls get married under 18 ages. These malpractices also exist in South Asia, Africa and the Middle East. Around 70% of Indian population lived in rural areas, which has its own, rural government (Gram Panchayat). April and May are famous months for wedding in Rajasthan. During this season you can see the thousands of weddings performed here, mostly in between minors. And Rajasthan is the hub of child-marriages in India. But these days various numbers of organizations work against child marriages. We are completely supported to the child’s right to protection act, but still the number of children losing their rights. As an Indian Wedding Planner is regularly measured a way to offer a right thing to the right person in the form of Wedding ceremonies. Yes, we organize your wedding not a malpractice. India is one of the famous destinations that attracts all kinds of people either its holiday trip or business trip or any kind of celebrations like marriages. If we talk about the rituals and customs, then worldwide India comes first. In fact Rajasthan – a largest state of India is also internationally famous for traveling and the best wedding venues. India magnetizes numerous people from everywhere to explore the various incredible attractions. This historical land has a lot of heritage monuments and blessed with several kinds of natural beauties. This country has a wonderful blend of colorful culture, golden history and everlasting traditions that make ‘India’ a famous destination for traveling or for marriage. 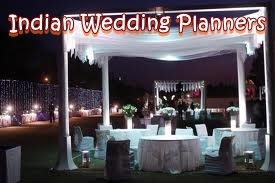 Indian Wedding Planners organize weddings at Goa, Kerala, Delhi, Agra, Jaipur, Jodhpur, Udaipur, Jaisalmer, Khajuraho, Varanasi, Mumbai etc. 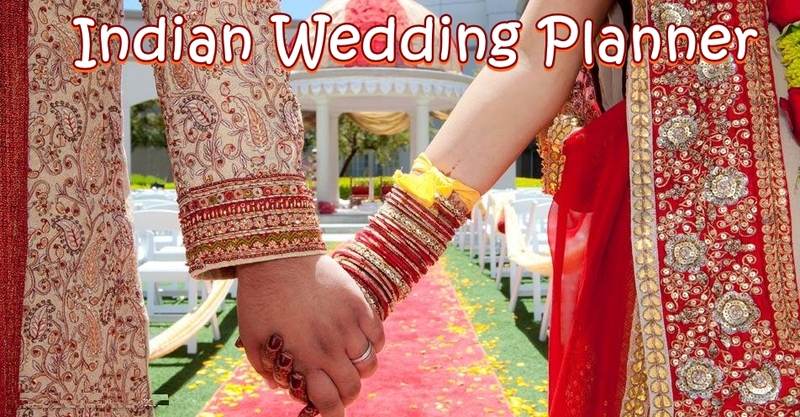 People throughout the world want to get married here according to Indian rituals and customs. Jaipur is emerging as one of the royal wedding destinations, couple want to get married here just like prince and princess. 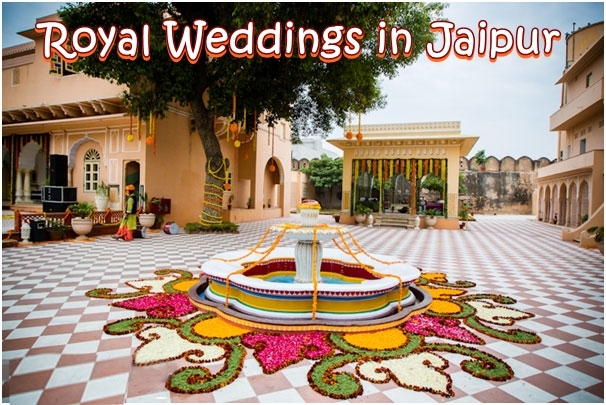 There are various famous forts and palaces, which converted into Royal Weddings in Jaipur. Couples like to get tied in the holy bond of marriage where you can feel the real touch of royalty. Udaipur is the most romantic city of Rajasthan, which is also a favorite destination for weddings. It has many lakes, gardens, that make this city lovely, passionate and pleasant. Here you can feel the real the romanticism and enthusiasm of nature. If you want to get married in a traditional way, then select the Rajasthan as your prime wedding venue. A marriage is truly a wonderful feeling that bonds two individuals and embarks a new journey of life. It’s a new beginning of life that’s why this occasion is celebrated as a grand event. In this event are not only connecting two souls, but also bonds two families. When we talk about Indian weddings, it is completely fulfilled with various rituals, customs and other cultural things. Every part of the nation reflects the different culture and different style of living. But yes, in every part of the India is, one thing is common- a style of wedding ceremony with lots of rituals and customs. 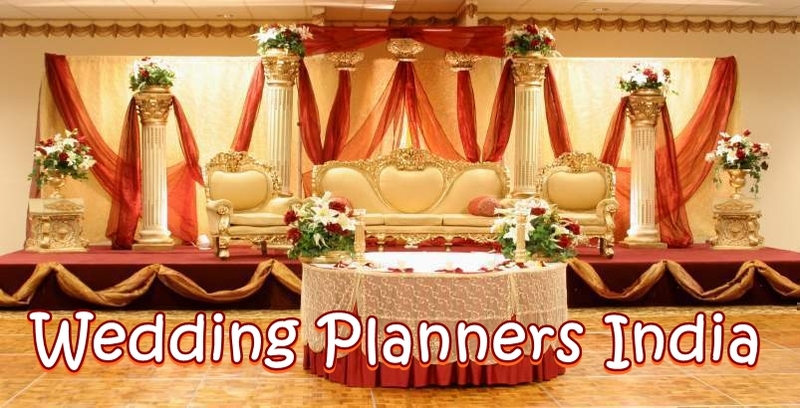 Indian Wedding Planners plan everything according to the cultures that does belong to you. Getting married in this incredible nation, is just like a dream materialize into a reality. This nation offers a great range of alternatives that you can choose from. If you want to select a royal style, then Rajasthan gives you a great opportunity for select these kind of destination. Some of the famous places are Jaipur, Udaipur, Jodhpur, Jaisalmer etc. where you can celebrate your wedding in a royal style. 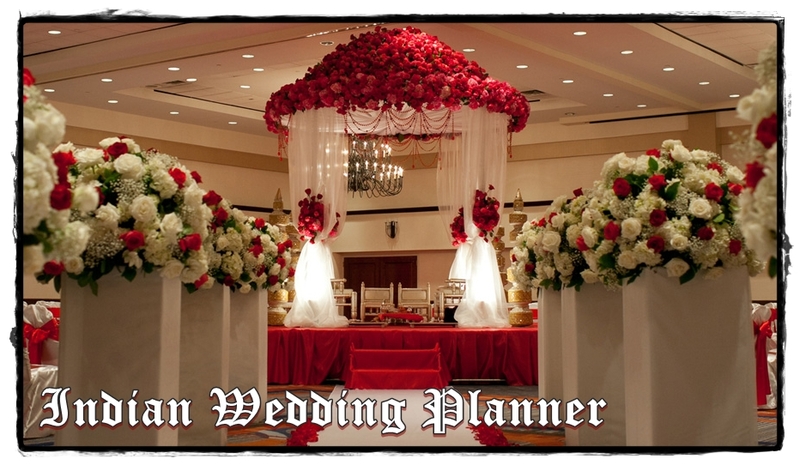 Indian Wedding Planner helps you to organize your wedding in a well mannered and creative style. Indian weddings are famous for its different colorful events like Roka ceremony, Ring ceremony, Mehandi, Tilak, Varmala, Pheres and Reception. The whole occasion give you a sweet memory in your heart forever. They assure to take care of every single event in this occasion.